Oxidative stress is a major contributor to age-related macular degeneration (amd), the principal cause of blindness in the elderly. 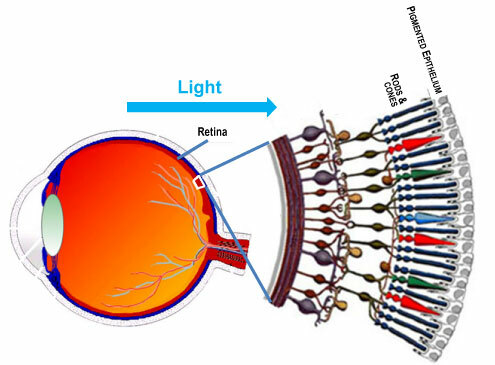 Retinal pigment epithelial cells (RPE) are the principal protectors of the photoreceptors which are composed of rods and cones. 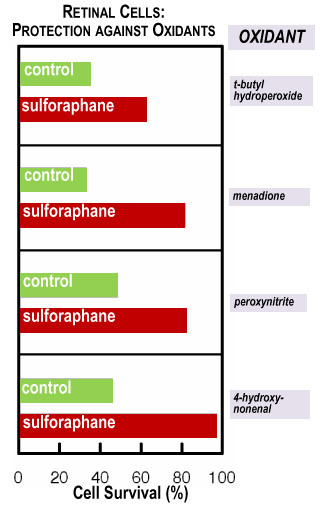 Following exposure of cultured human retinal cells (RPE) which normally protect the photoreceptors from oxidative stress, sulforaphane provides prolonged and dose-dependent antioxidant protection of these cells by induction of protective phase 2 enzymes.